We present a comprehensive system for multiscale navigation of 3-dimensional scenes, and demonstrate our approach on multiscale datasets such as the Earth. Our system incorporates a novel imagebased environment representation which we refer to as the cubemap. 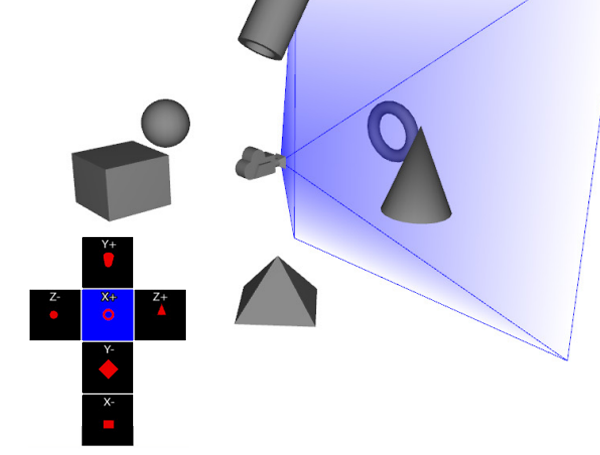 Our cubemap allows consistent navigation at various scales, as well as real-time collision detection without pre-computation or prior knowledge of geometric structure. The cubemap is used to improve upon previous work on proximal object inspection (HoverCam), and we present an additional interaction technique for navigation which we call look-and-fly. We believe that our approach to the navigation of multiscale 3D environments offers greater flexibility and ease of use than mainstream applications such as Google Earth and Microsoft Virtual Earth, and we demonstrate our results with this system.